Back in January 2018, we were assigned to lead a project called New Product Exploration to help Mozilla grow impact on shopping experience in Southeast Asia, and the first stop was Indonesia, a country I had not visited and barely knew! Though Indonesia is just 5 hours-flight from Taiwan, I had little knowledge about its language, culture, value, etc. 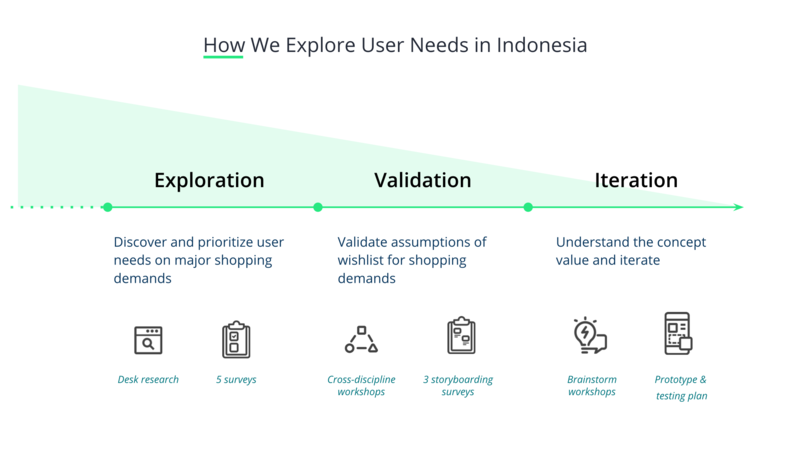 Fortunately, Ruby Hsu, our user researcher who had done extensive research and interviews in Indonesia, brought us decent observation and research findings as our starting point. Next, the team did extensive desk research to understand their shopping behaviors. With the research findings, we depicted the shopping journey to explore the opportunities and pain points. screenshot always served as a dominant tool to fulfill most needs, like keeping wish lists, promotions, shopping history, and cash flows, which was really out of our expectation. Too much to do, but too little time. With so many different things going on, knowing how to prioritize effectively can be a real challenge. To have each member from different disciplines become familiar with the knowledge, we held a workshop to develop the problem statement and persona to represent what we have learned from our research. At the end of the workshop, the participants of the brainstorming session helped the team identify and assess risks and values as references to determine the exact location for each direction in the Risk/Value Matrix. “Save to wish list” was the one with the lowest risk but the highest value considering the limited time and resources, which was the different logic of Lean UX. The team believed that creating a cross-channel wish list tool for online shoppers could be valuable since it could track original product information and discover the relevant items tailored to their taste. We believe this [business outcome] will be achieved if [these users] successfully achieve [this user outcome] with [this feature]. The result revealed that the high demands for the first two ideas but the last one required further validation for the potential needs. Out of our expectation again, how Indonesians used screenshots was still the highlight of the survey results. 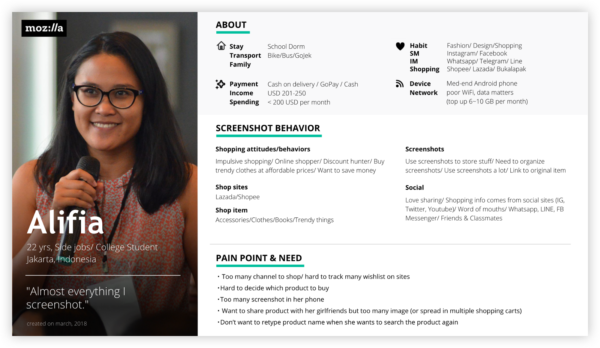 The screenshot was the existing and dominant tool they got used to capturing everything beyond shopping needs. With all the validated assumptions, we concluded to develop an app to help Indonesians make good use of screenshots as a quick, universal information manager across various online sources. Furthermore, they could get back to online sources through collected screenshots. At that time, we have to make our ideas tangible for testing. After the collaborative workshop with engineers on the early design and continuous feasibility check, I used Figma, a collaborative design tool, to quickly develop fundamental information architecture and interaction details. 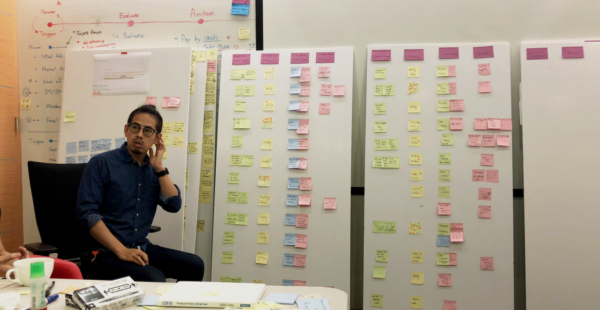 By co-operating and referring to the evolving UX wireframe, everyone showed their capabilities simultaneously. While Fang Shih, the UI designer, was busy with designing the look and feel into the visual spec, Mark Liang, our prototyper, was coding the infrastructure and high fidelity prototype with Frammer. Last but not least, Ricky Yu, the user researcher, took care of the research plan, recruiting and testing schedule in Indonesia. With everything prepared, we flew to Indonesia to meet the real users and listened to their inner thoughts. The research trip consisted of three sections. Among the eight recruited participants, the first four were interviewed for the validation of the unmet needs, which we put more focus on their screenshot behaviors, mental models. We took one day to iterate the design, then kept testing the rest participants for concept feedback, like the IA, usability. “Almost everything I screenshot,” said one of our participants. 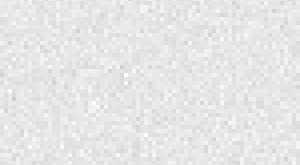 As the answers from the interviews analyzed, their screenshot behavior and pain points gradually emerged in each step of the screenshot process, including triggering, storing, and retrieving. Why did Indonesians like to screenshot? Apps provided a better experience than websites, even better prices in some e-commerce apps. Screenshots was a quick and universal tool to grab information across apps. Besides, with the unstable, slow, and limited data plan, they were more inclined to capture online live through an offline screenshot instead of a hyperlink, which might cost forever loading. What pain points did Indonesians have in storing and retrieving? Handy screenshots led to countless images in Gallery, which caused users hard to locate the needed screenshot. Even though the screenshot was found, the static image did not provide any digital data for relevant actions in the smartphone — for instance; users had to memorize the info on the screenshot and search more relevant content again. In conclusion, screenshots to Indonesians could be defined as a universal offline tool to capture information across various apps for further exploration online. However, they are looking for an app to find needed screenshots among numerous images readily and make good use of screenshots to explore related knowledge and content. 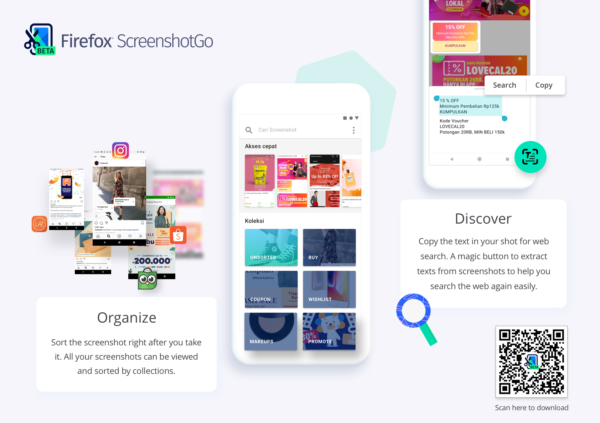 The validated findings shaped the blueprint of Firefox ScreenshotGo — an Android app that helps Indonesians easily capture, manage screenshots and explore more relevant information. As for how we measured the market size and launched the product, allow me to spend another post to cover the details. Firefox ScreenshotGo is only available in Indonesia Google play store, but you can still install by following the instructions. Why did Mozilla build Firefox ScreenshotGo? It is a great question! Here I would like to briefly talk about how we adopted Playing to Win to delve into the answer. The strategic narrative focused on fulfilling Mozilla mission. 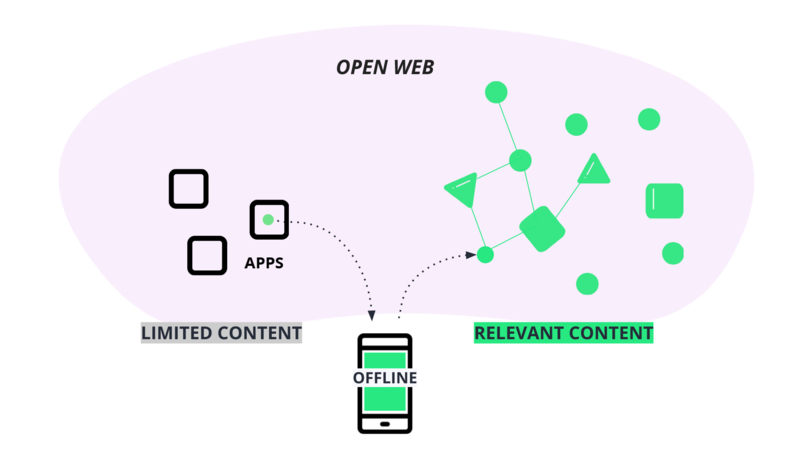 Users screenshotted their online life across app silos who offered limited or manipulated information. Mozilla targeted to encourage users to go back to the open web to search more linked content freely with those screenshots as bookmarks. **Playing to Win provides a step-by-step framework to develop a strategy.